I saw these Zebra handbag COOKIE JARS one afternoon while shopping in Neiman Marcus and knew I had to buy them immediately. This had to be a sign from God. Two of my favorite things -animal prints and handbags wrapped up in one. So yes, cookie jars were the inspiration for my birthday centerpieces. I bought all they had and brought them to the florist to be filled with some of my favorite flowers. This entry was posted in Uncategorized on February 4, 2015 by aries041158. Diane…. 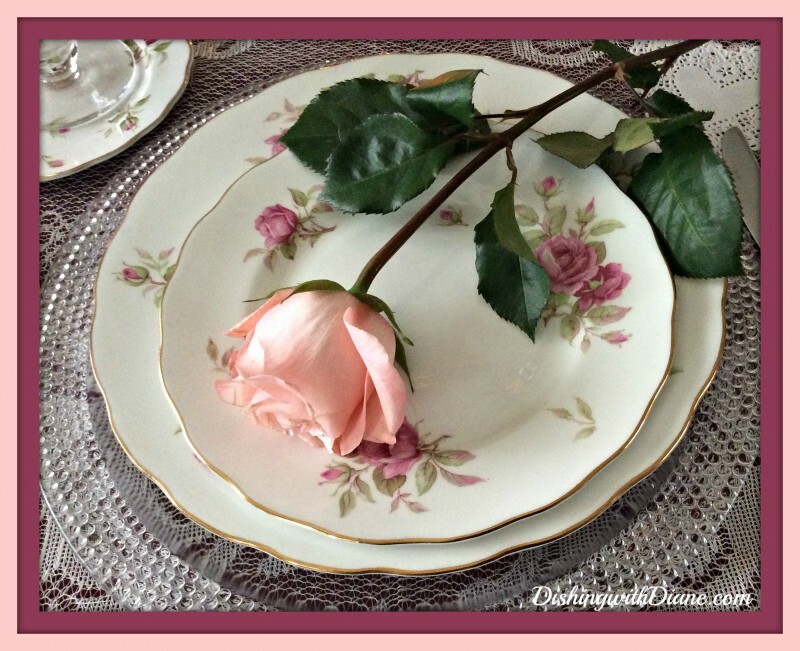 Loved the Valentines Day tablescape. The ravioli and strawberries look delicious. 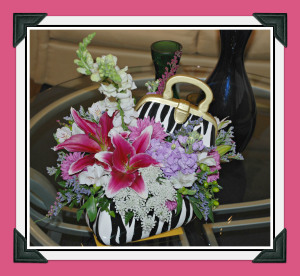 The pearls and bag were a perfect addition to the beautiful Victorian theme.